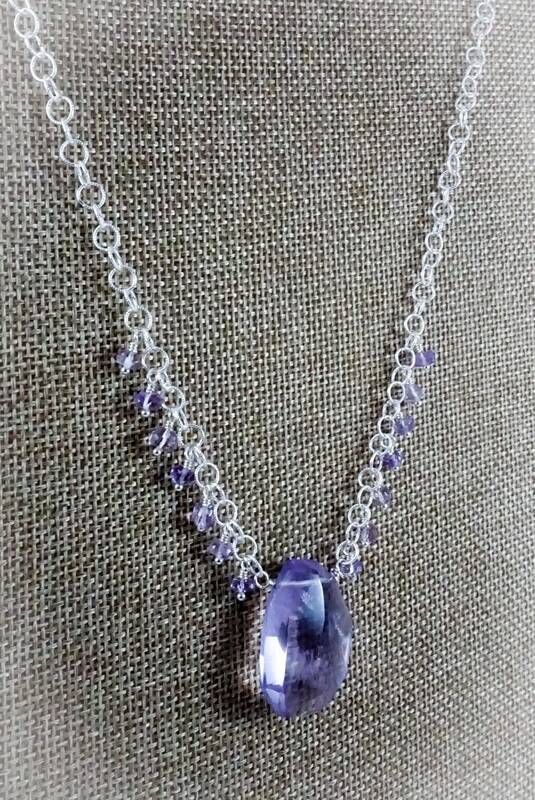 "Aura" is a 22-inch necklace featuring small ametrine beads and a 1-inch, faceted, pale amethyst pendant. Embody an aura of balance, confidence, and strength as you rock this intensely eye-catching statement necklace. 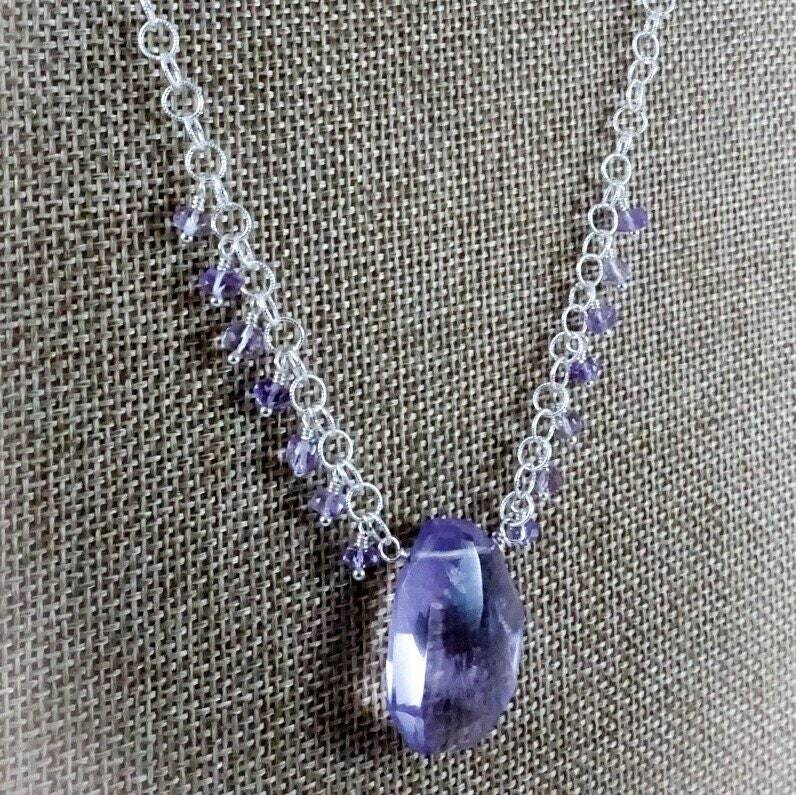 The shine of the pale amethyst pendant holds the light like no other, and in this one-of-a-kind piece, you'll feel as unique as the necklace itself.